I know Spring is here because my snowbird friend Barbara has arrived back from California. She goes there to enjoy the warm weather and her grandson Ethan. Barb has been my BFF before there were "BFF"s and and there were just "friends." I shot this photo in her house several years ago. 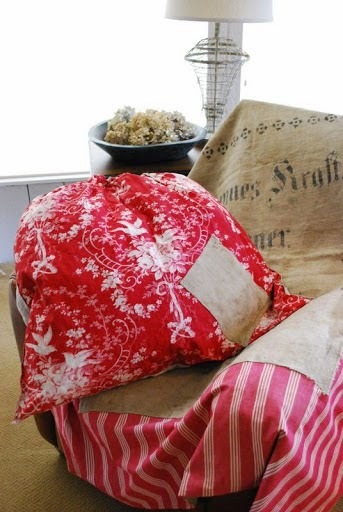 It's an antique French fabric that had been made into something with a draw string. Not sure exactly what it was but the vintage French country look is right up my alley... and Barb's. It's really good to have her home. Close friends and family altogether. That's what life is all about right? Her hubby Jeff has a favorite chair. 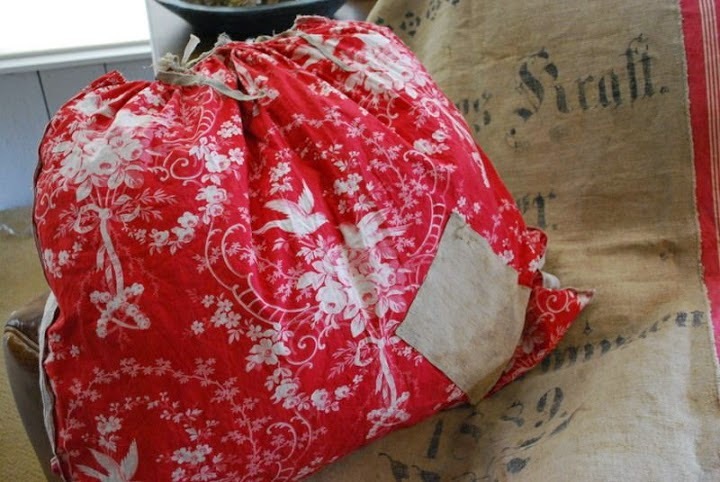 I borrowed it when he wasn't looking, and took a couple shots of a quilt I made. 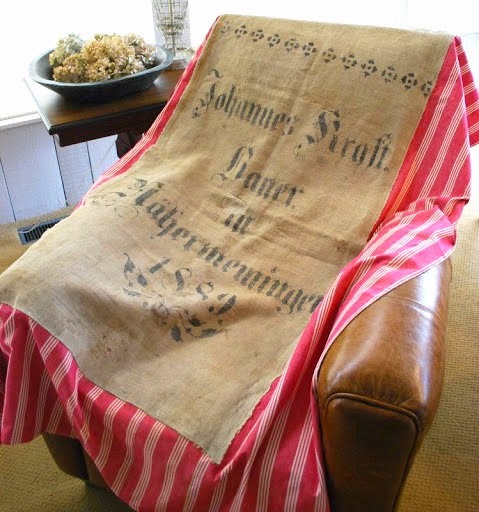 I used an antique German grain sack and some vintage French ticking stripe. Do you see the dried hydrangea in the background? Barb and I just loving drying them.... gorgeous! 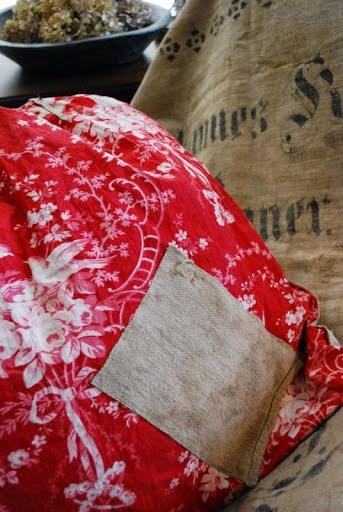 There was a slight hole in the French toile fabric, so I added a patch of antique homespun from an old grain sack. I'm not sure what I am going to do with this piece. Maybe a pillow... what do you think? I'm open to suggestions here, as always. In the meantime, I am hoping the birds show up at my yard soon and bring sun with them! Happy beginning of Spring!